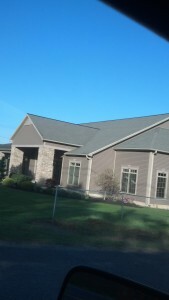 Marx’s Roofing installs windows that designed for a lifetime of worry-free operation and beauty. Windows that built to withstand the harsh seasonal conditions and huge temperature swings of Upstate New York and with energy efficiency in mind can make your home more efficient and enhance your curb appeal. Marx’s Roofing installs Windows that are Energy Star® rated for Upstate NY by the U.S. Department of Energy and the U.S. Environmental Protection Agency’s Energy Star Program. Your energy efficient replacement windows will reduce home energy costs compared to non-energy star rated windows.